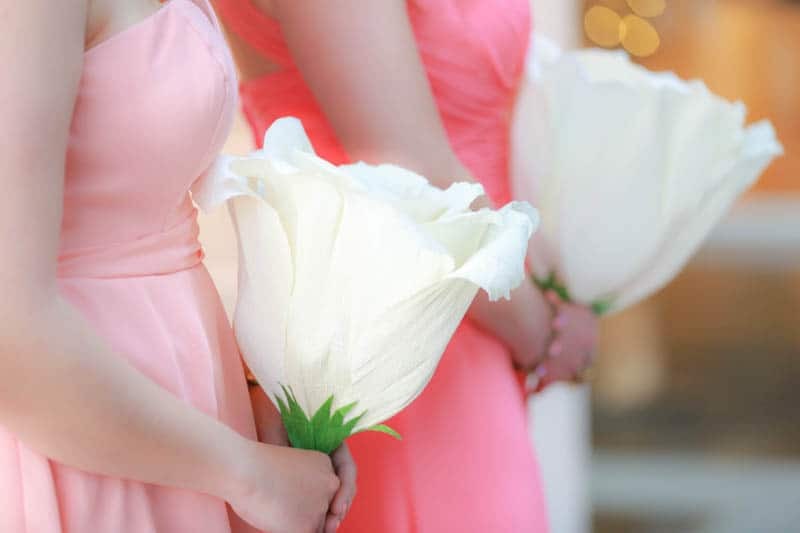 12 THINGS YOU NEED TO DO BEFORE THE BIG DAY TO MAKE SURE YOUR WEDDING IS ALL ABOUT YOU! So many couples claim that they don’t think they are quirky or cool enough to create their own personalised wedding and so for them opting for traditional seems like an easier option. Well we are here to tell you that is just not true! Everybody is unique, whether they think it or not. We have seen weddings inspired by music, fashion, food, art, culture, countries, hobbies, the list is endless! So here is something you can do to find you very own unique theme. Make a note of what you and your other half have in common, how did you meet? What was your favourite date? Your favourite holiday together or even a song that reminds you of the first time you met? Now list some of your individual interests, hobbies, jobs, favourite food, colours etc. You will be surprised by how many things you can think of that will make your wedding personal to you. Sure, at first it will seem like a mishmash of things and you will probably need to refine the theme down to just one or two when the time comes, but we promise, you can make your wedding unique to you no matter who you are! 2. Plan Your Wedding on Your Terms! Once you get engaged, everybody will want to immediately know where, when and how? This is totally natural of course your friends and family are allowed to feel excited for you but it can also start to become a little overwhelming. So set some ground rules, let people know you won’t be planning anything until this date, make decisions with your partner and be clear on your priorities. It is so easy to become sidetracked by what others think you should be doing, but you are the one getting married, so make it about you right from the very beginning. The same can be said for planning tools. They are a fantastic way of getting organised but they can also be a little misleading, especially if you are planning on DIY’ing much of your wedding. Make your own timescales and make them work for you! Before any planning can begin, it’s important to sit down with your fiance and talk about what your main priorities will be on the wedding day. Do you want to get married in a church or have a civil service? Do you want a venue with a particular style or a certain destination? What style of photography do you both like? Would you want to include wedding favours or a cake? Is there anything you would like to make for the wedding? It wasn’t until I actually sat down with my fiance to talk about these things that I realised our priorities were quite varied when it came to certain aspects of the day, so we needed to decide and compromise on these things before we could move forward with the planning. Making sure you both agree on a budget before you start planning is so important. Be realistic about how much you can afford to spend and how this will effect your wedding day priorities. If you can’t afford to spend much, get creative! We all have certain skill sets, so draw on these when planning your wedding. Perhaps you are good at baking, sewing, crafting, styling, floral arranging, cooking, all of which are extremely useful tools when planning a wedding. Choose a venue that reflects your chosen theme, so if you love festivals, perhaps a barn, farm or field would be ideal. If you are looking for something a little more bohemian than you might want to consider a woodland venue, or maybe you have such a mishmash of ideas you just need a blank space to get creative in? Where ever it is, make sure it fits with your chosen, theme, style, budget and you will be well on your way to creating a personalised wedding. 6. Wear what You Feel Comfortable in! Traditionally when anyone gets married, the bride is expected to wear a pretty white dress, whilst the groom sports a black, brown or navy a suit. So what do you do if you don’t feel comfortable wearing either of those things? Guess what! You don’t have to wear anything you don’t feel comfortable in! On this blog we have had brides rocking dresses in all shapes and colours, we have even had brides wearing jumpsuits, suits and shorts, whilst our grooms can also be seen wearing shorts, linen trousers, embroidered smoking jackets and suits in all colours of the rainbow. I don’t know about you but I have always had a pretty poor experiences when it comes to food at weddings. Maybe it’s because I am vegetarian and my options are little more limited, so one thing I am really looking forward to, is adding my own personal stamp on the food at my wedding. Some of the best food ideas I have seen have been at weddings where the couples served their favourite foods such as fish & chips, curry, sausages and mash, pizza and pies! It’s your wedding, so eat what you want! With so many amazing wedding suppliers out there, it can be hard to know where to start. To make it easier on you, choose suppliers that you feel match your ethos, morals and style. This way you can be sure that the supplier really gets you and what you want from the day, allowing your true personalities to shine through! For some, this will be the easiest decision they will ever make, for others it might be the most difficult. The important thing to bear in mind is that once you’ve asked someone to play an important part in your big day, it is extremely difficult to take it back, so really think long and hard before you ask. Don’t be swayed by what family or friends think you should do and be sure to only choose people you really want! The same rules apply to your guest list as with your bridal party. Spend your wedding day with the ones who will be there to talk about it with you for years to come and not complete strangers. Difficulties may come when other family members are paying for your wedding, so you might have to make some compromises, but if you are really set on not having a certain person at your wedding then your wishes should be taken into consideration. It’s your wedding day after all! If you are getting married in church your vows will most likely be written for you, but if you opt for a civil or humanist ceremony you have the option to write your own, which is a really sweet way to make your day more personal. If you are getting married in church and would still like to make it more personal you can still choose your own readings, which is another great way to make your ceremony unique to you. Whether you decide to have a gift list, receive honeymoon contributions, charity donations or nothing at all, choosing what you do with people’s kind intentions is your choice and you should only do what you think feels right. If you aren’t comfortable with asking for gifts & money, then don’t! Include a little note or poem on your invitations outlining your wishes, to avoid any awkward conversations further down the line.